Amateur psychology buff Amy K. Nelson returns to one of the fascinations of her academic glory days when she becomes a Mental Athlete, entering the USA Memory Championships held at the ConEd building in New York City. Amy ask the question, “Is memory truly a sport?” Her fellow Mentaletes prove the answer to be a resounding Yes. Bonus: See if you can spot the celebrity cameo! 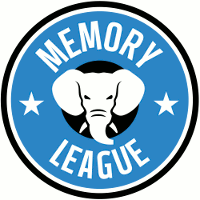 I think that all this coverage of the competition will do great things for memory techniques in the US.